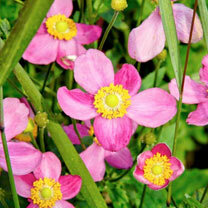 A lovely anemone variety more compact than many with lovely two-toned pink flowers with a bright yellow centre. 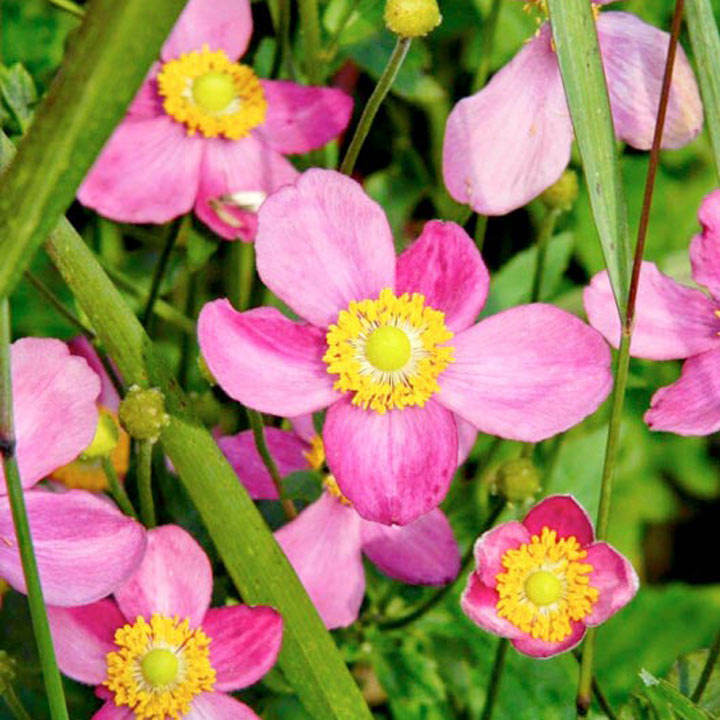 Due to its more compact nature, it also holds a better shape and the flowers are less inclined to fall over resulting in a much better display. The flowers are produced in abundance during late summer and early autumn, just when the garden could do with an injection of colour. Ideal for containers and exposed locations. Flowers July-October. Height 30-40cm (12-16"); spread 50-60cm (20-24"). Supplied in a 2 litre pot. Compact variety of this autumn must-have!